This week we say goodbye to Carrie Brassley, who has been with African Initiatives since November 2012 as she peruses her career in Development further. Here’s Carrie’s story of how she began working for AI and the fond memories she’ll take with her. We’ll miss you Carrie! I first got in touch with African Initiatives four years ago to volunteer at one of their global education events in Bristol. I worked full-time and couldn’t volunteer in the office, so this was a great way to get to know more about the organisation. I was immediately struck by how welcoming and interesting the staff were and I knew I wanted to work for the organisation. I then saw a job advertised with African Initiatives that I would describe as my dream job, but at the time, I felt that I didn’t have enough relevant experience or qualifications so I decided to do something about it. I enrolled for a part-time degree at the Open University specialising in international development and globalisation. I carried on working full-time and several years later I saw that African Initiatives were recruiting an administrator. I was so excited and knew this was my opportunity to work for them and sent off my application. I started working part-time for African Initiatives in 2012, whilst still studying at the weekend. I loved the organisation, the staff were friendly, the volunteers were dedicated and I felt like I was right at home. Several months later, a new opportunity arose and I became a full-time member of staff, working as the new trust fundraising assistant. This gave me great experience and I will never forget how excited I was when my first trust donation came in. I carried on managing the volunteers in the office, which was also a highlight for me. I will never cease to be amazed at how generous people can be with their time when they’re working towards a cause they believe in. Working at African Initiatives has mainly been so great because of the people I have worked with. 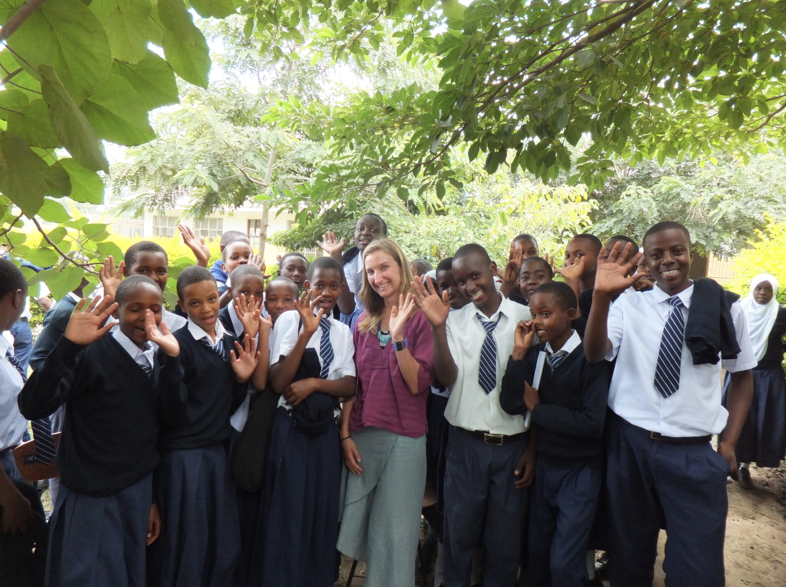 Just over a year after starting at African Initiatives I got the opportunity to go and visit our projects in Tanzania. This was something I had wanted to do for a long time, having never been to sub-Saharan Africa before. Seeing the projects first hand gave me an indication of the difficulties that our beneficiaries face on a daily basis, but it also gave me a great insight into the importance of our work. I met some truly inspirational people such as Resi, a programme coordinator for our partner, the Pastoral Women’s Council, who is the same age as me but had gone through so much to get to where she is today. I’ve always been happy to try and help out African Initiatives in as many ways as I can and earlier this year decided to run the Bath Half marathon and climb Kilimanjaro, raising a total of £1,651.25. I’ll be really sad to leave such a great organisation. I’d like to thank all of my colleagues for being very supportive and fun to work with, especially when they provide me with brownies! Also, a massive thank you to all the volunteers who I’ve worked with over the years – you’ve been great!